Why hasn’t anyone told me that OITNB is really, I mean really, good? I have noticed that a lot of people are talking about it, but the hype is often a turn off for me. But if someone said “hey Alice this is seriously awesome, ignore the hype” I might have given it a chance sooner. I remember watching part of the first episode years ago, butI didn’t stick with it long enough to get really hooked. Well, fast forward 3 years and Rok and I are bingeing on it. In my defense, I do like and watch a lot of shows, so its impossible to be up to date with everything. Anyway, I love it. It’s funny and smart and summers are pretty much the best for binge watching. 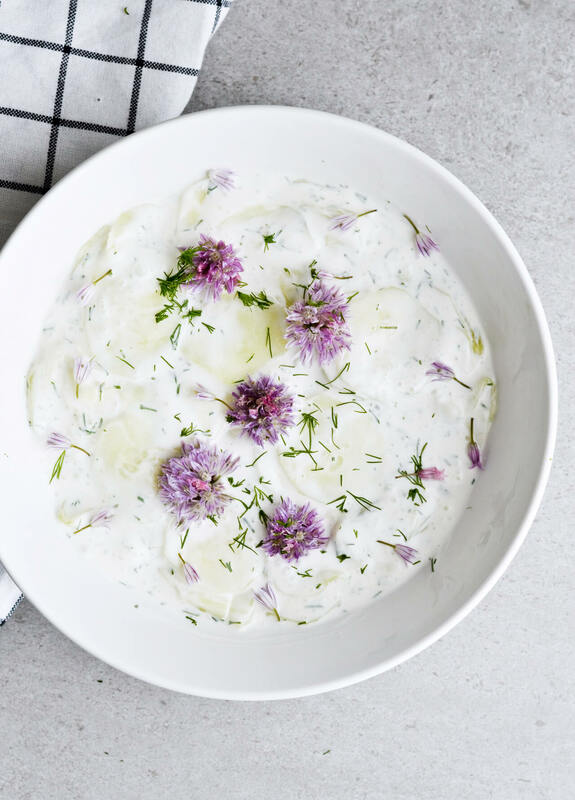 And I love salads, like this dill yogurt cucumber salad. I shared it once before but this is a slightly updated version. This salad (or variations of it) is my absolute summer favorite. It’s slightly crunchy and very refreshing. 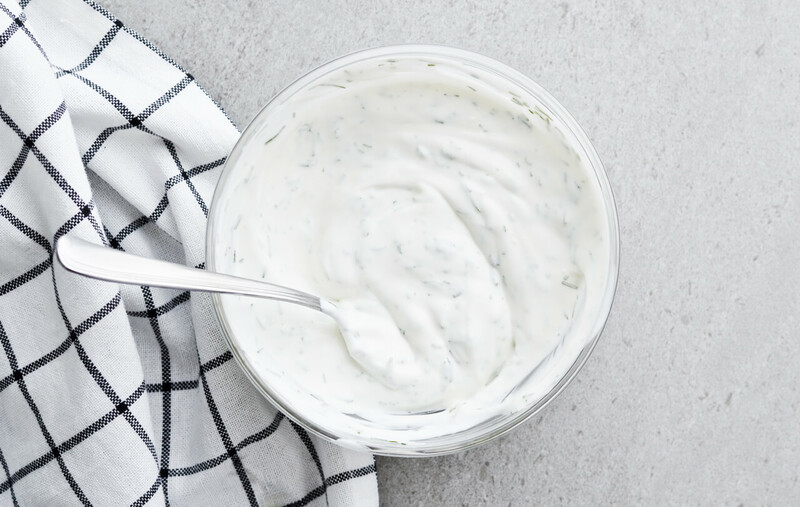 It’s very much like tzatziki, the Greek yogurt cucumber sauce, but prepared differently so it’s more a salad than a dip or sauce. To me it’s a perfect side to anything grilled, a sandwich or even just baked potatoes or fries. 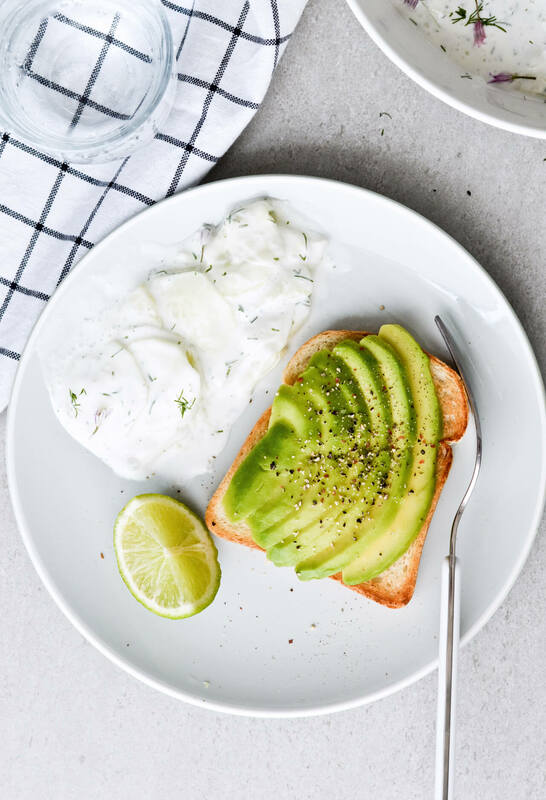 And I also love to eat it next to avocado toast and I think it makes it a lot more interesting. 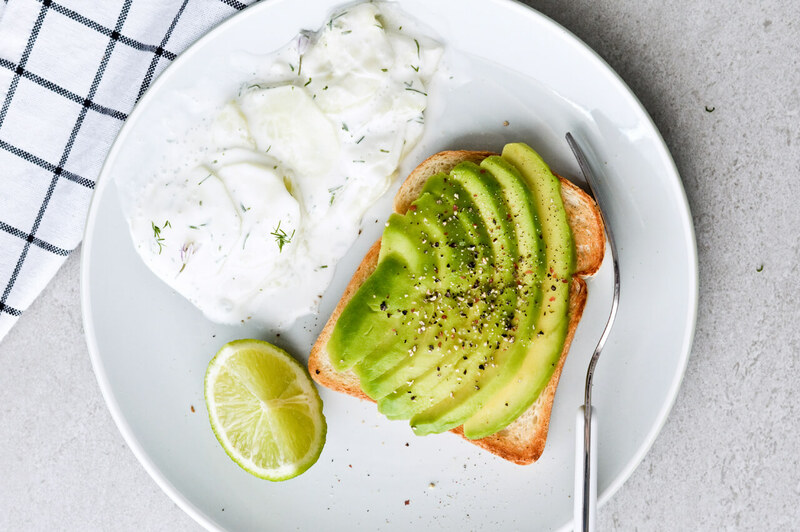 The avocado toast is simple; crunchy and creamy, seasoned with salt, pepper and a squeeze of lime. 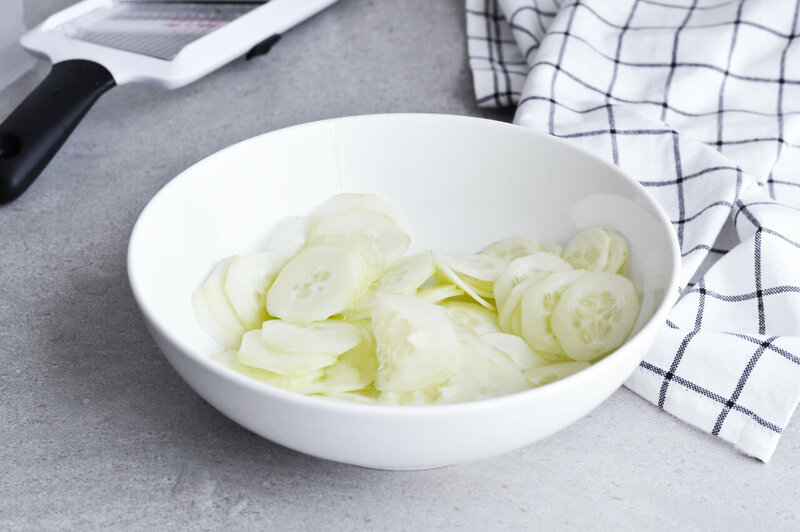 The cucumbers are sliced very thinly, which makes them really soft, but they still have some bite to them. 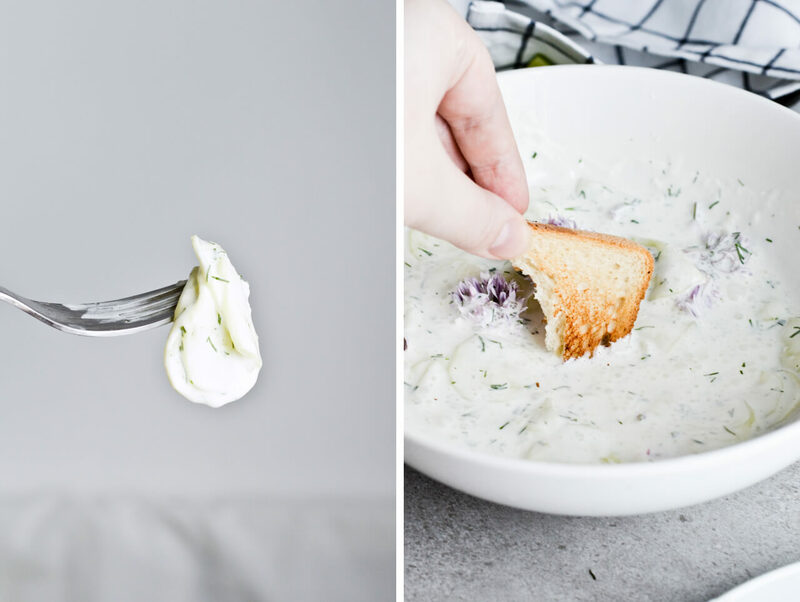 They’re drenched in a mixture of yogurt, sour cream and dill. These days I use more yogurt than sour cream, but any ratio works. 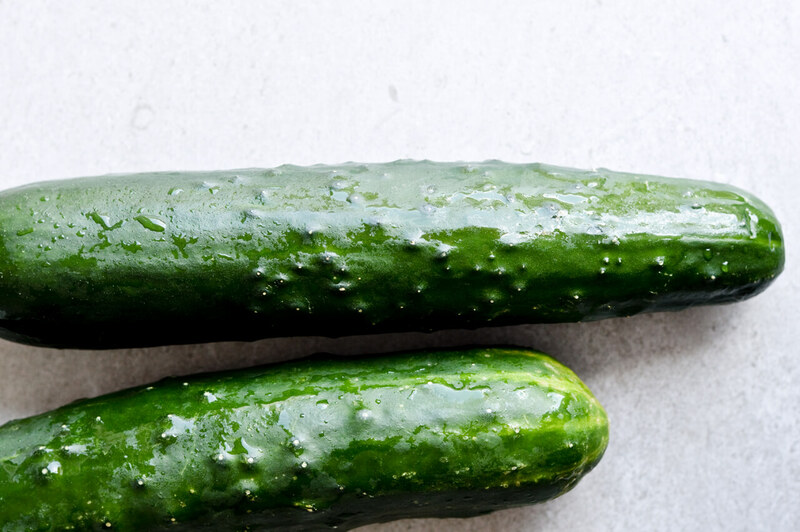 Both give cucumbers that slight sourness, without being overpowering. Herb options are wide open too. 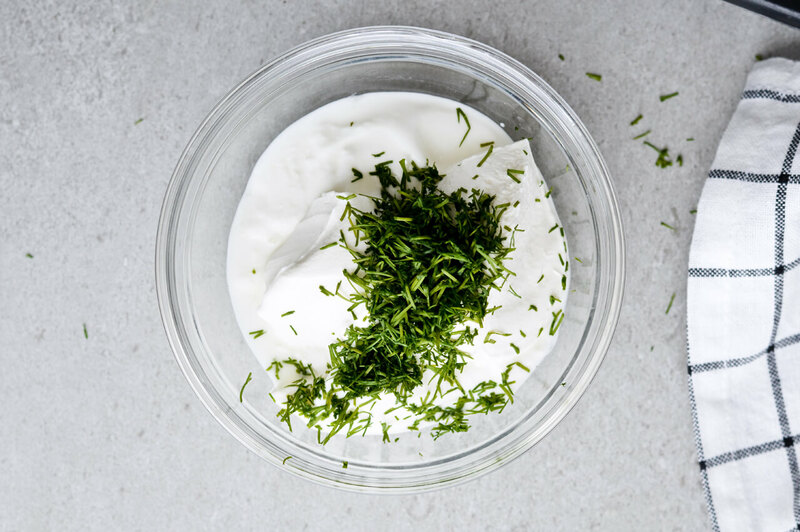 I love dill, but both parsley and chives work great too. 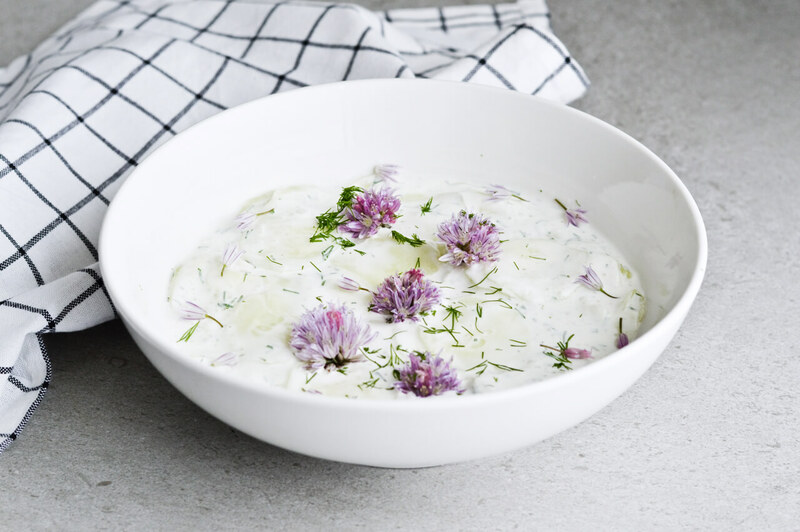 And chive flowers can make a salad go from “meh” to super pretty. 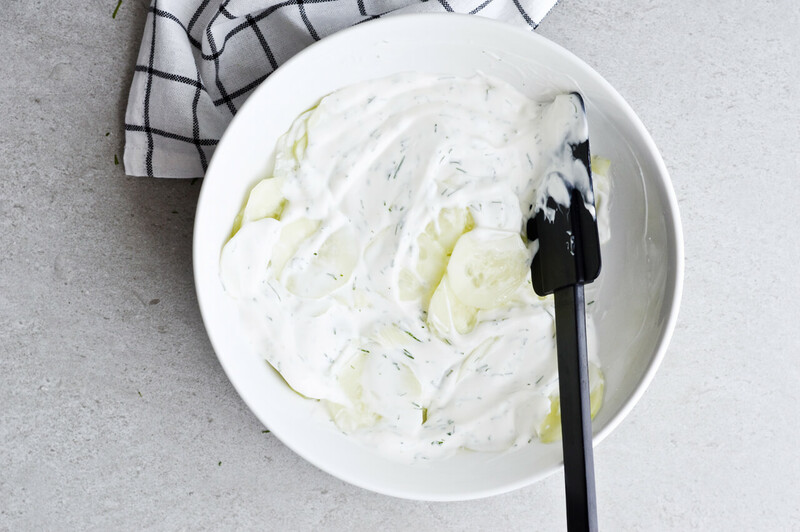 This dill yogurt cucumber salad comes together in seconds and is served chilled, just what I need when it’s hot out. A refreshing summer salad that works with anything grilled, baked or even a sandwich. / Serves 2 people. 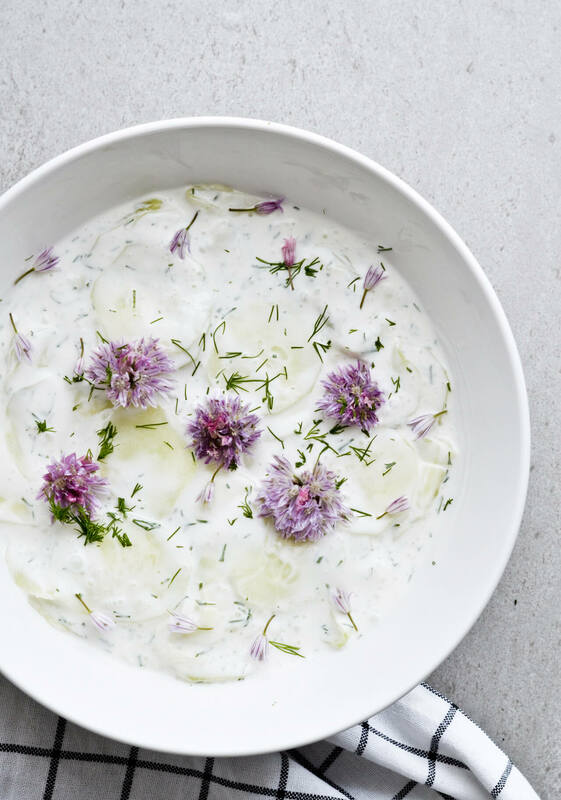 Meanwhile, whisk yogurt, sour cream and dill in a bowl. 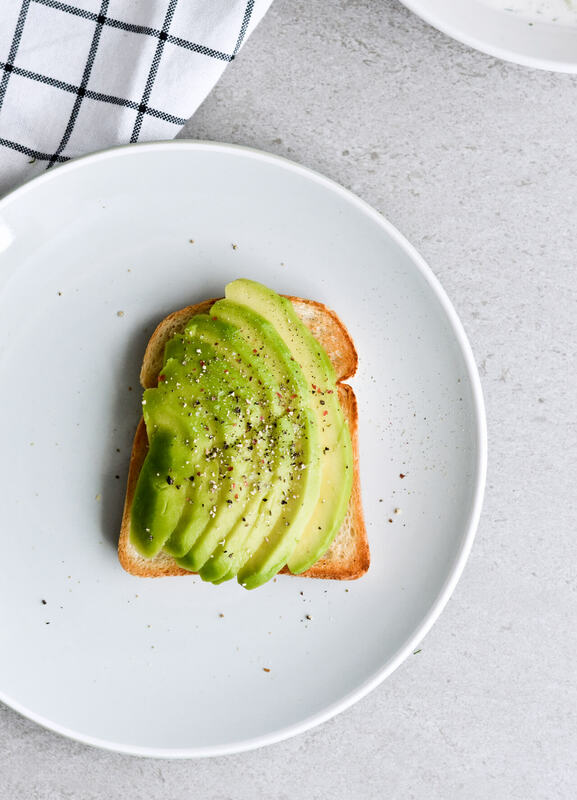 Store in the fridge as you prepare the avocado toast (if you’re eating the salad with this). Take cucumbers out of the fridge, pour away any liquid gathered at the bottom of the bowl and add the yogurt mixture. Stir until all cucumbers are coated. 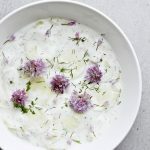 Taste and add more salt if needed, sprinkle with more dill and chive flowers. Serve. Store leftover salad in the fridge, covered, and eat within a day; although it tastes best if eaten right away.